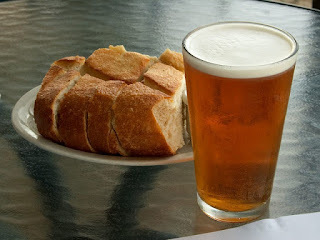 To make this bread choose a nice dark, hoppy beer to add a malty flavour. Mix all the ingredients together in a large bowl and empty into prepared pan. Bake one hour or until the top is crispy and golden. How about curling up with my epic fantasy while your bread bakes? Especially when it comes to candy. 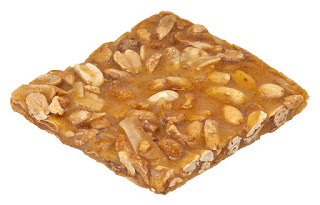 This wonderful peanut brittle has a WOW factor that adds to any celebration. Give as gifts or enjoy with family and friends. 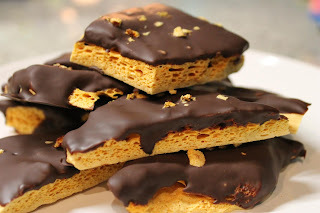 This recipe is a sure-fire crowd-pleaser! Make sure you have all the ingredients measured and ready to go, as it requires you to react quickly between steps. Bring sugar, corn syrup, salt, and water to a boil in a heavy 2 quart saucepan set over medium heat. Stir until sugar is dissolved. Set candy thermometer in place, and continue cooking. Stir frequently until temperature reaches 300° F (150° C). Remove heat. Immediately stir in butter and baking soda. Pour at once onto cookie sheet. With two forks, lift and pull peanut mixture into rectangle about 14x12 inches. Allow to cool. 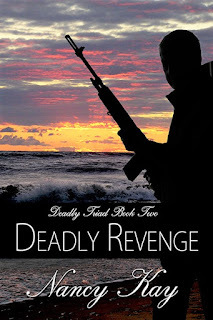 Book Two in the Deadly Triad series by Nancy Kay is now available on Amazon! 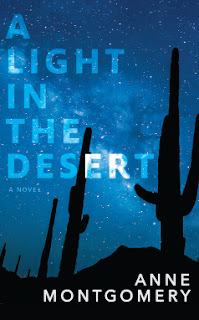 This romantic suspense is filled with intrigue and plenty of twists to satisfy every reader. And the terrific thing is the books do not have to be read in order. Be sure to get you copy today. A former Marine is captivated by an alluring widow until a sniper's bullet shatters the illusion his covert past is behind him. Culinary herb gardener Ada Blaine lost her husband at a tender age. To survive she channeled a family tradition into a successful business. Former Marine Rich McConnell left behind a nasty divorce and traded a promising military career for a hardware store with no complications. After Ada shows up at a Christmas Eve bash looking drop dead gorgeous, Rich finds his can't keep his hands off the elusive gardener, and his subtle charm weakens the wall around Ada's heart. This recipe makes one delicious sandwich that works great for lunch or dinner. Add a bowl of soup or crispy salad and a nice cold beer for a complete meal. Preheat a heavy 8 - 10 inch skillet or griddle over medium-high heat. Spread the butter on the inside of each slice of bread. Sprinkle on a little garlic powder. Grill bread buttered side down until lightly browned. Remove bread to cutting board. 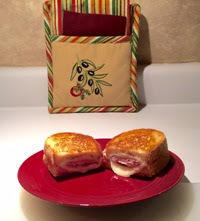 Lay one slice of cheese on toasted side of bread, then sprinkle on thyme. Top with another slice of cheese. Cover with the second slice of bread, butter the outside, and sprinkle on a little garlic powder. 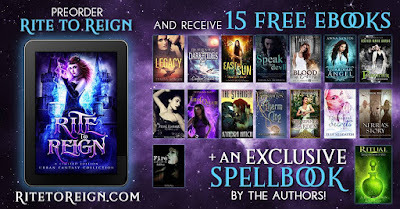 PRE-ORDER RITE TO REIGN TODAY AND RECEIVE *15 FREE EBOOKS* AND AN *EXCLUSIVE SPELLBOOK* BY THE AUTHORS. RITE TO REIGN includes stories from 24 award-winning and bestselling authors. This bewitching boxed set collection includes the best PARANORMAL ROMANCE and URBAN FANTASY books in the genre, each brimming with stories of royal magic. One-click today, but beware – these highly addictive stories will have you under their spell. 2 cups peanut butter 1 lb. margarine at room temperature 2 tsp. vanilla 2½ to 3 lbs. 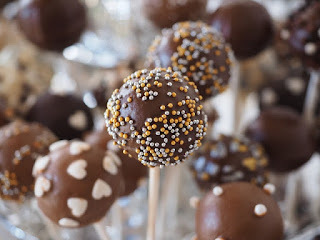 powdered sugar Popsicle sticks, optional Mix peanut butter, margarine, and vanilla together.Add powdered sugar. Mix well. Form into balls. Insert sticks if you chose to use them. The Turning Stone ChroniclesbyC.D. Hersh Today we’re announcing that our series entitled The Turning Stone Chronicles is being featured on Freebooksy. From October 14 -16, the first book in the series, The Promised One, will be offered freeand the second book of the series, Blood Brothers, will be available for 99¢October 14 - 20. Now, while you think about that, we would like to share how our series came into existence and other interesting tidbits. The catalyst for the series happened during a car trip, where we often plot stories to pass the time. We were reading road signs, brainstorming book ideas. We came up with several book ideas, but the one that caught our interest came from a road sign in New York State pointing to a place called Turning Stone. That idea just took off for us. ¬¬¬¬¬¬¬¬¬¬¬¬¬¬¬¬¬¬¬¬¬¬¬¬¬¬¬¬¬¬¬¬¬¬¬¬¬¬¬¬¬¬¬¬¬¬¬¬¬¬¬¬¬¬¬¬¬¬¬¬¬¬¬¬¬¬¬¬¬¬¬¬¬¬¬¬¬ This outstanding Romantic Suspense from the incomparable Nancy Kay is a definite must read. Book One is a stand alone story that lays the groundwork for the next two books. The characters are well rounded and natural. The romance is terrific and the suspense is gripping. Yes, this is the book to curl up with on a fall night. Can he separate duty from desire? Can she trust his mind-blowing kisses? Or will her unknown past end their future together? 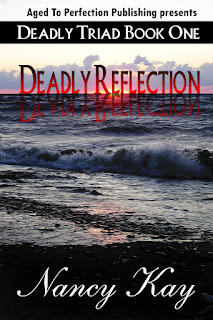 When homicide detective Nick McGraw encounters upscale spa owner Cassi Burke standing over a dead body gripping a bloody knife, Nick's much-needed vacation slams to a halt. Instincts tell the seasoned officer she didn't kill the man at her feet, but he's duty bound to deliver her to local police never suspecting Cassi's brief moment of fame will make her a target. The green thumb of Janis Lane brings us her gardening tips. In a medium saucepan, over medium heat, combine sugar, corn syrup, and vinegar. Cook, stirring until sugar dissolves. 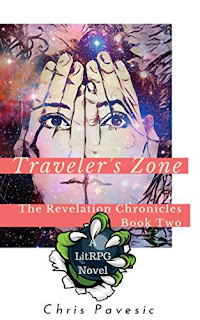 The Revelation Chronicles is an exciting futuristic series written by the incomparable Chris Pavesic. Starter Zone, Book One, was applauded by readers and reviewers for it's unique storyline, creative characters, and intense action. The amazing story of Cami Malifux continues with Book Two and will not disappoint.